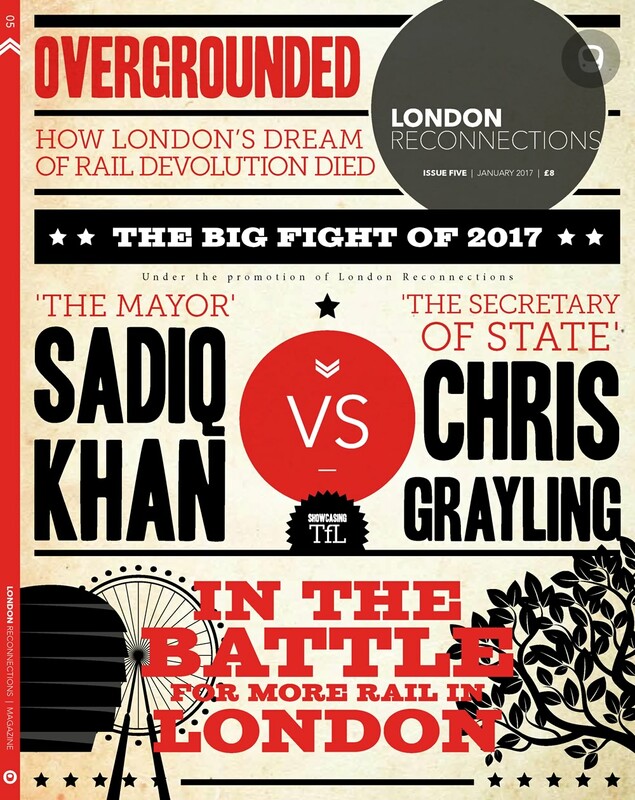 Dan Coombs, writing in the “Uxbridge Gazette” reports the aspirations of Hillingdon Council to extend the Central Line from West Ruislip to join the Metropolitan Line to Uxbridge between Ruislip and Ickenham. 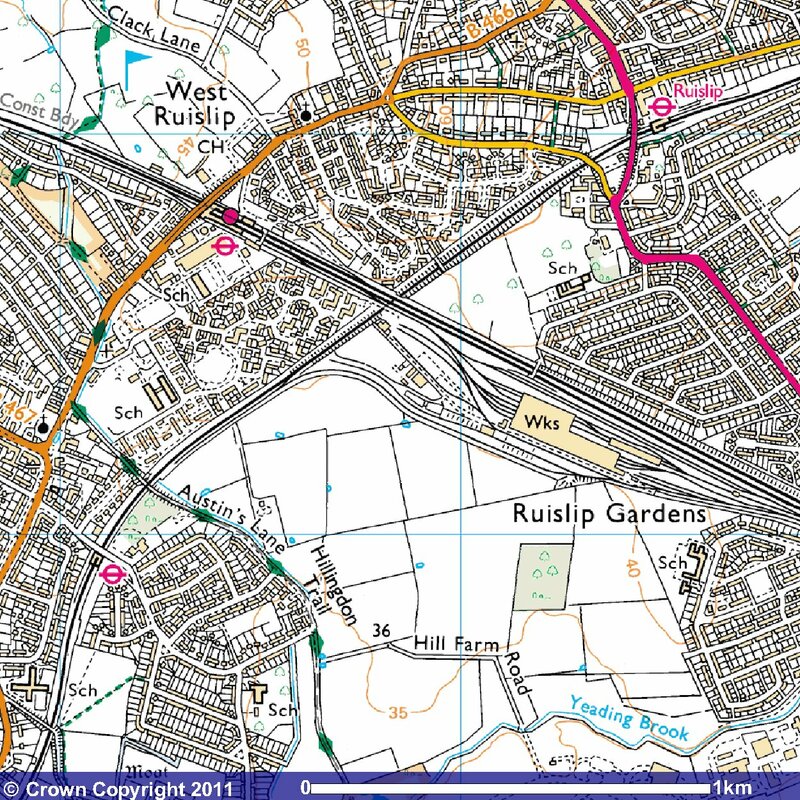 HILLINGDON Council is to lobby TfL to have the Central underground line extended from West Ruislip to Uxbridge. The reasoning behind the plans is that having the line will cut traffic on the A40 and the Uxbridge Road, both serving ‘a key transport corridor’ to Ealing. Uxbridge is currently served by two underground lines, the Metropolitan and Piccadilly lines, and it would be logistically simple to extend the Central line track to link from its terminal in West Ruislip into Ickenham station. For the plan to become possible, Hillingdon Council must convince TfL there is a business case, and fear it could take 10 years to come to fruition. Councillor Douglas Mills, cabinet member for improvements, partnerships and community safety (Con), said: “We are realistic, it is not going to be done overnight, but we have already held a couple of meetings with TfL about it. We feel that compared to other metropolitan town centres in London, such as Kingston, Uxbridge could be better served by the tube. TfL feel at the moment the business case is weak, and it is up to us to build it up. The Central Line serves West Ruislip, Ruislip Gardens, South Ruislip, Northolt, Greenford, Perivale, Hanger Lane, Ealing Broadway, North Acton, and West Acton, White City, and Shepherds Bush, before extending into central and east London. TfL has told the council the whole project will only become viable, once upgrades to the signalling system on the Metropolitan Line is complete, which the Gazette has previously revealed could take up to 2017. The project was stopped mid-consultation last year because of financial pressures, but the council feel now is the right time to reignite the project, for a service the east-west centred transport in Hillingdon vitally needs. At first sight this seems quite straightforward but, as Hillingdon Council and TfL get into these ideas, complexities seem sure to arise. 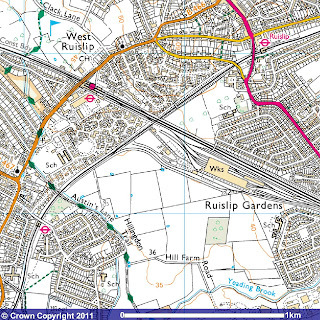 Ruislip Depot lies to the south west of the Central Line’s West Ruislip branch and the Great Western and Great Central 1903 Joint Line from Old Oak Common and Neasden to High Wycombe. It is bordered to the North West by the Metropolitan line’s Harrow on the Hill to Uxbridge branch. The depot was built as part of the western extension of the Central line from North Acton. In 1936, as part of the New Works Programme, Parliamentary authority had been granted for the two additional tracks from North Acton to West Ruislip. In 1937, further powers were obtained to extend from West Ruislip to Denham although, like the Northern line extension beyond Edgware, these were subsequently allowed to lapse. Construction began and the depot was virtually complete by July 1940. At that date the Ministry of Transport decided to suspend the both the eastern and western extensions of the Central pending the end of hostilities. The facility did not, however, stand idle as it was taken over by the Birmingham Small Arms Company – BSA (later famed for their motor bikes) for the manufacture of anti-aircraft guns. It was returned to London Transport in 1945 and in 1948 the line to West Ruislip was opened. The Metropolitan line from Harrow on the Hill to Uxbridge had opened on the 4th July 1904. The section of line from South Harrow to Rayners Lane had been used as a test track for the Metropolitan’s first electric trains. Services to and from Baker Street were introduced. The Metropolitan Railway Country Estates Ltd, the creators of “Metroland” vigorously promoted new development alongside the branch, Early traffic and property development results were, however, disappointing such that in 1908 through trains to Baker Street were removed leaving the line served by a shuttle service. In 1903 a connection at Rayners Lane was made by the Metropolitan’s rival and inner city collaborator, the Metropolitan District Railway, as part of its extension from North Ealing but (no doubt discouraged by the limited traffic prospects) no District trains ran beyond South Harrow until 1910. Piccadilly Line trains subsequently took over from the District running through to Uxbridge from Rayners Lane on the 23rd October 1933. As the Ordnance Survey Map shows, there is already an existing connection between the Central Line and the Metropolitan line’s Uxbridge Branch. The City end entry to West Ruislip depot diverges just to the north of Ruislip Gardens Station and the link route runs along the south westerly side of the depot. Somewhat surprisingly this link was not put until 1973 and is only used by permanent way vehicles. 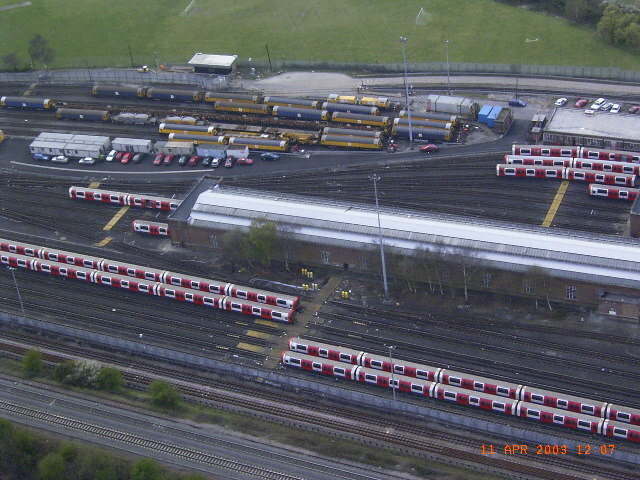 As can been seen from the picture below, taken by a police helicopter, of the London end of Ruislip Depot, the connecting single track link from the Central Line depot runs to the rear of the roads 64 – 70 occupied by the high visibility livered battery electric permanent way locomotives. Our thanks and copyright acknowledgements to Dennis Troughton and the mine of visual information that is Geograph. Difficulties that might be encountered include questions of capacity at Charles Holden’s three platform station at Uxbridge particularly at peak times. There is also the issue of compatibility between rolling stock signalling and control systems or the Metropolitan, Piccadilly and Central lines. This in turn hinges on the state of technological maturity of various elements on each line – rolling stock renewal and signalling renewal are intimately connected and hence have to be aligned. Even the same type of rolling stock may not be compatible – for example, it is not possible to run the Waterloo and City stock which is not fitted with Automatic Train Operation ATO on the Central Line which is. The 1st priority is to extend the Piccadilly line from Uxbridge, via the old Cowley/West Drayton pathway to West Drayton and then on to a new station at Harlington Cross and then into Heathrow (ideally T5, but otherwise T1/2/3). This would then form the West London Loop for the Piccadilly Line; an idea which was first mooted in the 1960’s when the discussions were taking place to extend the Piccadilly Line from Hounslow to Heathrow. This would allow TfL to re-develop Uxbridge station by putting it underground — with 3, or 4, bay platforms in a central position and 2 through lines for the Piccadilly Line to go round the outside of these bay platforms. The existing terminus station could then be converted into a bus station, with direct links via lifts and escalators to the station below. The current bus station is completely inadequate and badly set out, with many services terminating in a side road, or unable to access the bus station at all. When this is completed the Central Line could be diverted via West Ruislip sheds to a joint inter-change station at Ickenham. The need for a West London Loop on the Piccadilly Line is clear. The Airport, and associated industries, are the biggest source of employment in the Borough of Hillingdon, yet there are no direct public transport links from North to South in the Borough. The Evening Standard reported, early last year (? ), that the road running north-south from Uxbridge to West Drayton was one of the 10 busiest roads in London. The journey from the Northern regions of the Borough to Heathrow (South of the Borough) is tortuous. Since the Uxbridge (Vine Street) to West Drayton Line was closed in the early 1960’s much new development has occurred in the area. Brunel University lies beside the pathway of the old railway line and accommodates about 30000 students and staff (currently only served by very slow bus routes), Hillingdon Hospital (the main hospital for the Borough, and one of 2 emergency hospitals for series incidents at Heathrow), and the building of the Stockley Park Business Park. Currently a major new development is also taking place of the former RAF station in Uxbridge, providing housing, theatre, shops, offices, museum facilities). These are the reasons why the need for the West London Loop Line on the Piccadilly is essential, and should be seriously considered now whilst TfL is considering the orders for signalling and stock on the new Piccadilly Line trains, for service in the next decade. 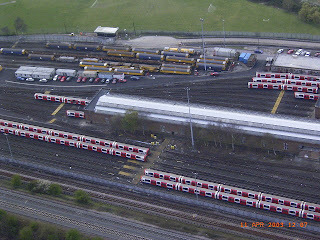 What are those big red things which regularly run from West Drayton, Hillingdon, etc to Heathrow? Not to mention the express buses that already run from Uxbridge to Heathrow. @Trev – as someone who used to live a short walk from Eastcote, Bridle Road, and stillhas many friends in the area, I can assure you that very few of the locals are airport workers – the housing is more than a trifle expensive for the sort of employees who generate the high volumes of traffic to the airport. (And as for Ickenham and Northwood …) The big numbers come from Southall (route 105 bus does this trip), Uxbridge and areas to the south (route U10), and South Harrow (witness the recent allnight service on the 140). Route 724 provides an express service to the northern parts of Hillingdon. TfL London Buses publish a useful “spider map” of the Heathrow bus connexions. But I doubt many hospital staff or outpatients fly in to Heathrow Airport as part of their journeys to the hospital. A hospital needs multiple local links, not one trunk link to a single destination. @Timbeau: Indeed. I was poking fun at a rhetorical technique that seems common in discussion of transport: it consists of asserting that Place A is an Important Place, and the Place B is an Important Place, and that therefore there is a pressing need for transport (rail transport, because what other kind is there?) from Place A to Place B. Worse still. A is an important place. B is an important place. C is an relatively unimportant place on the current route from A to B. Everyone in C clamours for improvements and argues that that they are necessary because it is so busy and it is so popular. So the possibly more sensible option of taking the shorter route via D is opposed by those at C.
And in a bit of mischief making could I suggest that A is New Cross Gate, B is Elephant & Castle and C, of course, is Camberwell. Of course if one were to happen and one did require the services of a large number of buses to run between the airport and the hospital, perhaps some rail replacement buses could serve as a temporary Western loop for the piccadilly line? US engineering firm Bechtel are moving their offices from Hammersmith to Park Royal. Bellway are now building out the residential development at First Central.